A case brought by a 57-year-old Rochester woman against Johnson & Johnson was supposed to begin on September 9, 2013 but the start of the trial was delayed by two weeks to September 23. The case is being referred to as a “bellwether” case as it is the first federal ASR hip implant claim against Johnson & Johnson’s DePuy Orthopaedics Unit that will be heard by a jury. Our Boston defective hip implant lawyers know that there are around 3,600 additional lawsuits against Johnson & Johnson arising from the company’s recalled ASR hip implants. The outcome of this case could have a determinative impact on how Johnson & Johnson treats those pending claims. The plaintiff in the case against Johnson & Johnson is one of thousands with a similar complaint: DePuy Orthopaedics released a dangerous metal-on-metal hip replacement product onto the market that has caused harm. The metal cup and metal socket are made from cobalt and chromium and, when patients move normally, the different metal parts grind against each other. As a result, metal debris may be released into the blood and tissue and can cause metallosis, poisoning and serious complications. The devices also have a high failure rate and patients routinely need to undergo revision surgery. The plaintiff in the bellwether case has undergone not one revision surgery, but two. The initial hip implant operation using the DePuy ASR device occurred in 2009 and the woman then underwent a second surgery in 2011 after Johnson & Johnson recalled the ASR device. After two hip dislocations in 2011, the plaintiff needed a third surgery and was left with permanent impairments limiting her range of motion. Future surgeries are expected to become necessary. Other plaintiffs have not necessarily suffered these exact same complications or gone through what this plaintiff has gone through— that’s why the cases are being resolved in a multi-district litigation setting and not a class action, which would be appropriate if a group of plaintiffs suffered a similar harm as a result of a similar wrong. Still, while this plaintiff has her own unique story about how the DePuy ASR impacted her life, the jury decision in this case will provide important information on how Johnson & Johnson is likely to fare in future court cases. If there is a large jury verdict and the jury makes clear that the company needs to pay out significant compensation to plaintiffs for its defective hip implant products, Johnson & Johnson is much more likely to offer a generous settlement to remaining victims of defective hip implants. Johnson & Johnson is reportedly considering a $3 billion global settlement offering an average of $300,000 each to plaintiffs harmed by a defective hip implant device. 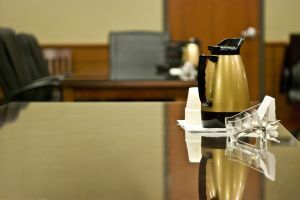 If the bellwether case goes well for the plaintiff, settling will become even more attractive to Johnson & Johnson, who might be willing to be more generous simply to avoid the great potential risk to its bottom line that could come with thousands of individual trials before sympathetic juries.